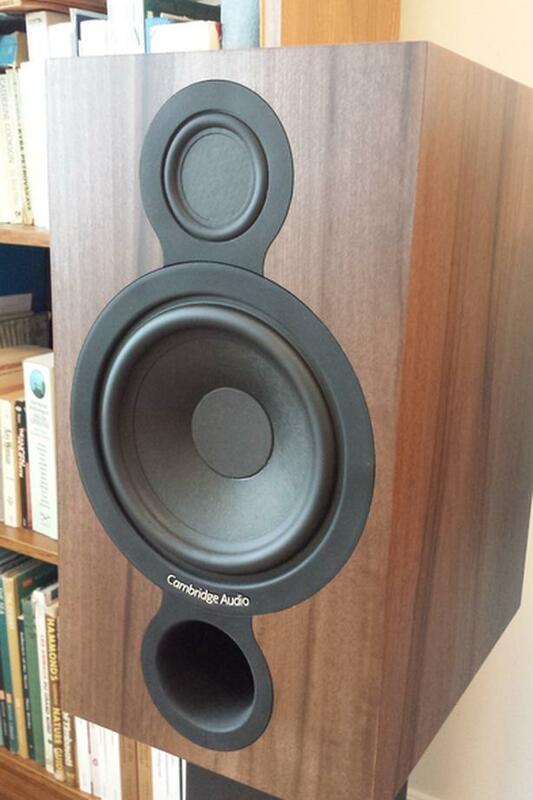 Cambridge Audio Aero 2 stand-mount speakers finished in dark walnut. 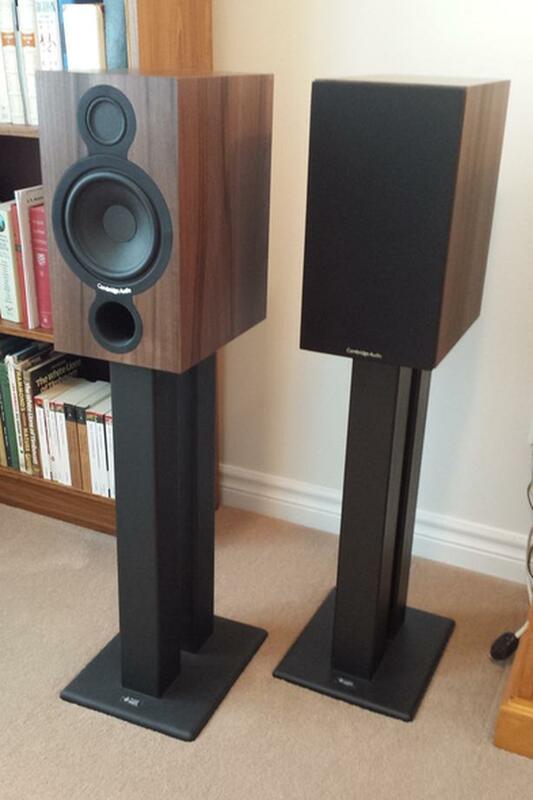 These speakers use a Balanced Mode Radiator (BMR) where you would usually except the tweeter to be. 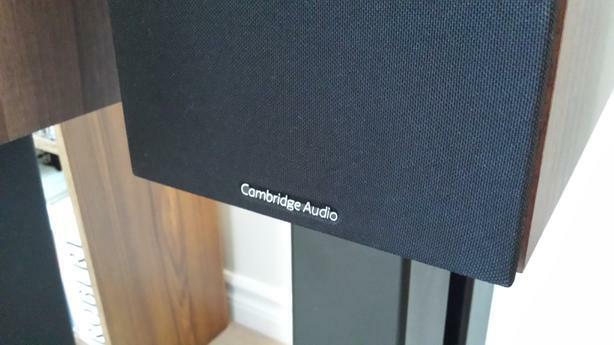 In his review in Hi-Fi World, Jon Myles stated: "As soon as you fire up the Aero 2s it's obvious they are very different to most other stand-mount loud speakers. The midband is effortlessly easy and organic--the music simply flowing through the speakers with no sense of strain. [...] The Aero 2s also have a prodigious bass kick." Asking $620.00 for these speakers, which are in excellent condition. Stands not included.